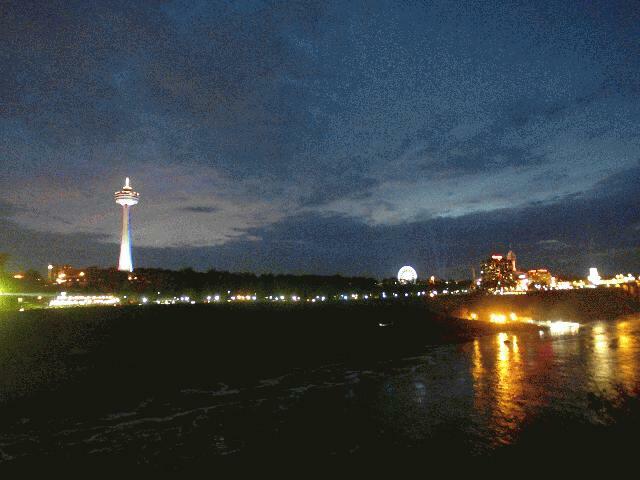 In the morning we will depart from New York to Niagara Falls. Summer (June - Oct): We will arrive at the Niagara Falls in the afternoon where we would visit Cave of the Winds for the view of the falls from beneath. We will also enjoy the Niagara Falls Illumiation at night. Winter (Nov - May): We will visit the Corning Museum of Glass first, and then admire the Niagara Falls Illumination at night. 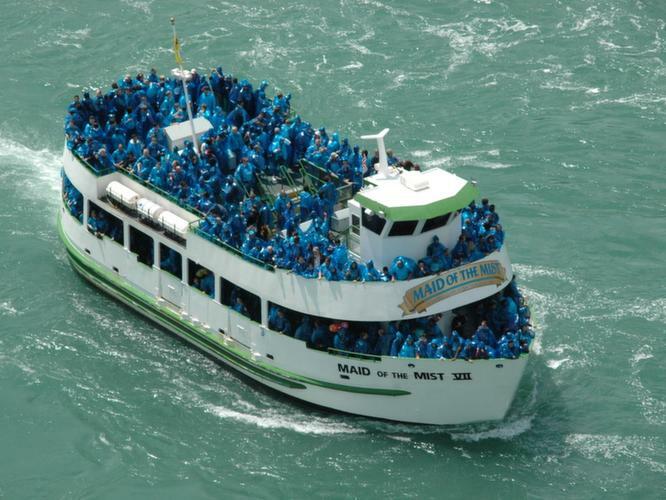 During Summer (June - Oct): In the morning we will take the Niagara Falls In-Depth Tour to visit the Whirlpool Park and Old Fort Niagara. 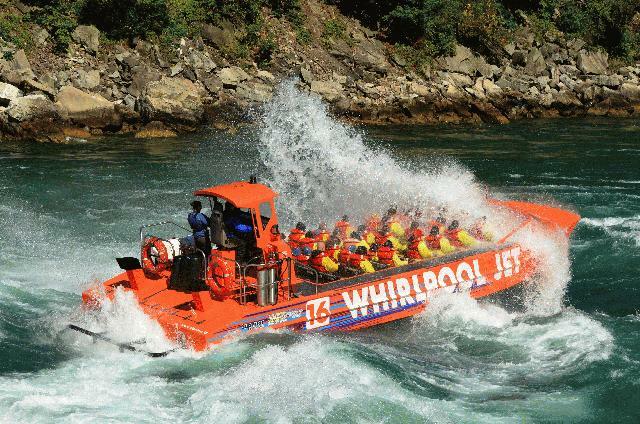 Later we will take a Jet Boat ride along the Niagara River. 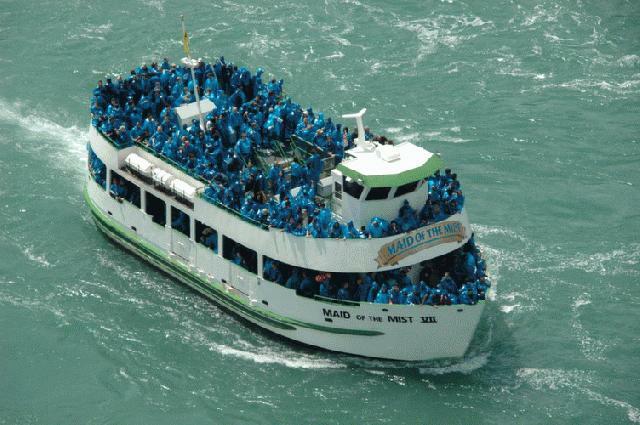 We will take Maid of the Mist for a closer look at the Falls.Head to Washington DC by end of day. 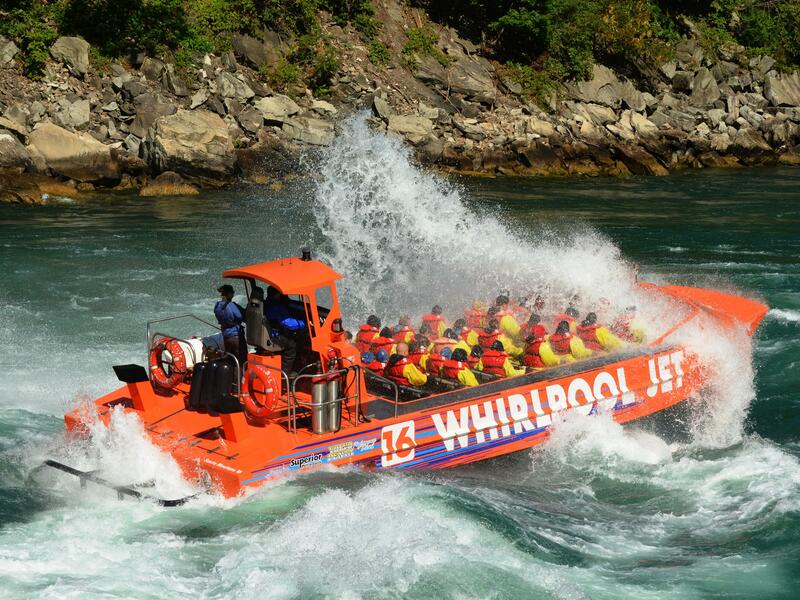 During Winter(Nov - May): Niagara Falls In-Depth Tour - Jet Boat - Niagara Falls Adventure Movie - Washington DC by end of day. Upon arrival, we would start our Washington DC In-Depth Tour which includes visiting inside of Capital Hill acompanied by one professional tour guide, inside of Library of Congress, outside of White House. Then we will continue to visit Lincoln Memorial, Korean War Memorial and Vietnam Memorial, National Air and Space Musuem. We will also pass by Jefferson Memorial, Washington Mrmorial, World War II Memorial. We will take the Potomac River Cruise. In the afternoon, we will reach Philadelphia and visit Liberty Bell, Independence Hall, Independence National Historical Park. We can take the Double Decker Bus to further explore the city. After that, we will return to New York. Note: If Capitol Hill and Library of Congress closed, our Washington DC In-Depth tour will be replaced by visting Marine Corps Iwo Jima Memorial, US Air Force Memorial. We will visit two of the most recognizable landmarks in the world. The Capitol Hill, which is a symbol of representative democracy in the world, and the Library of Congress, the oldest cultural institution in the U.S.
(Optional if time permits) Although the Mint in DC is closed to tours, the nearby Bureau of Engraving and Printing still offers visitors a look inside the moneymaking process. Visitors can learn about the history of US currency and see bills being printed. (Passing By) The Thomas Jefferson Memorial is a memorial to the third president of the United States. The impressive building is neoclassical in design and has been standing since 1943. It sees more than two million visitors every year. We will stay here for 2 hours during the Cherry Blossom time. The Air Force Memorial in Arlington pays tribute to the veterans of that particular branch of the US military. Its three spires evoke the image of the contrails of fighter jets as they maneuver in the sky. If the cruise is closed, we will visit President Museum instead. 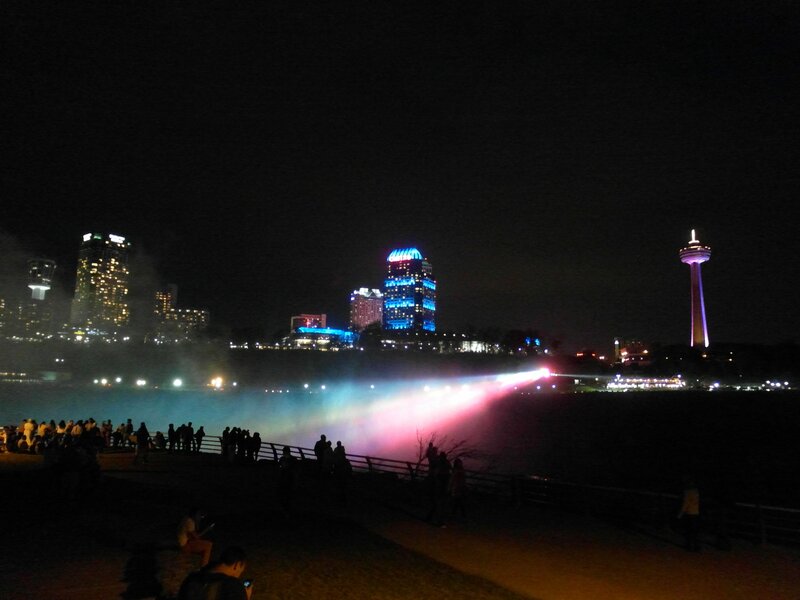 East Coast Essential Discovery Tour:$75/adult, $60/child, including Niagara Falls Illumination, Whirpool State Park, Old Fort Niagara, Washington D.C In-Depth tour. (1) Offer applies to 3rd person sharing one room with two paying adults. Prices are already adjusted. (2) Cancellation of free-fare passenger must be made at least 3 days before departure. (3) No-show (or late cancellation) of free passenger incurs $96 penalty fee for the reserved bus seat.